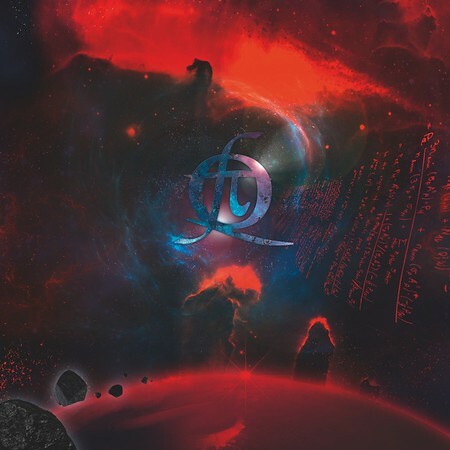 “Live In Space” is the debut album from Swedish band QFT – Quantum Field Theory – and it was released on 4th May by Despotz Records. QFT features vocalist Linnéa Vikström who is best known as one of the female leads in symphonic metal legends Therion. I spoke to Linnéa about the album and much more when she was a guest on the Friday NI Rocks Show on 4th May. We also played three tracks from the album on that Show – “Aliens”, “Big Bang” and “End of the Universe”. I had also included “Aliens” on the Show on 6th April. The tracks on the album were written by Vikström and focus on her fascination with space, the universe and the theories that surround it. The exception is the band’s cover of Björk’s hit “Joga”. Most of the album was recorded by the band live in the studio and captured within 3 or 4 sessions even though they hadn’t played together much prior to that. The album was recorded with Swedish sound engineer Lennart Östlund who has worked with bands such as ABBA and Led Zeppelin. Joining Vikström in QFT are drummer Georg Härnsten Egg, bass player Jonathan Olsson and guitarist Mano Lewys. The former two are part of the Swedish band Dynazty whilst the latter has played on stage for the band and was previously part of the band Loch Vostock. Vikström provided backing vocals for the latest Dynazty album “Titanic Mass” in 2016 – she has also appeared on stage with Kamelot in the past.